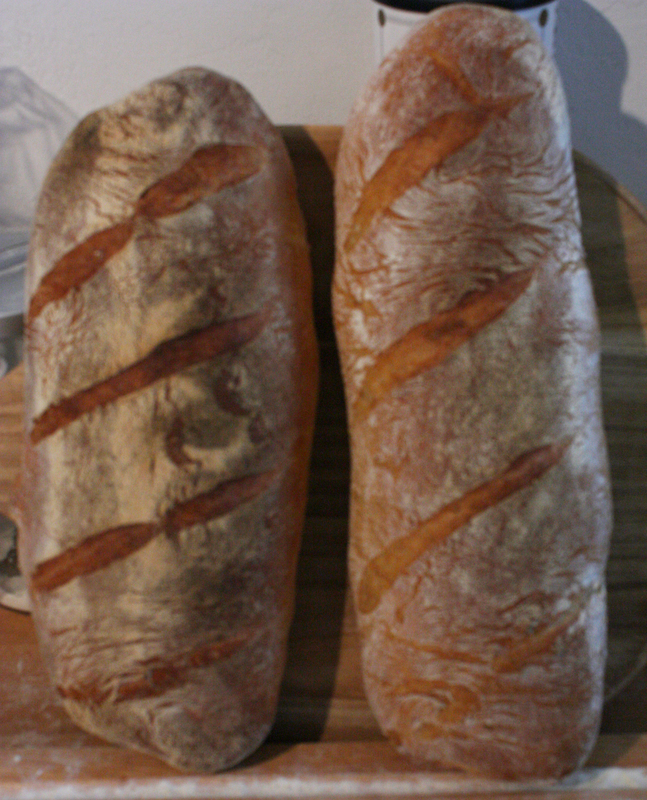 Two loaves of pain au levain, from a recipe given by Daniel Leader in his great cookbook Bread Alone. The Lurking Fear and other stories, by H. P. Lovecraft. Ballantine Books, 1975 (sixth printing). Cover art by John Holmes. Rummaging through paperbacks in a thrift store yesterday I came across a copy of H.P. 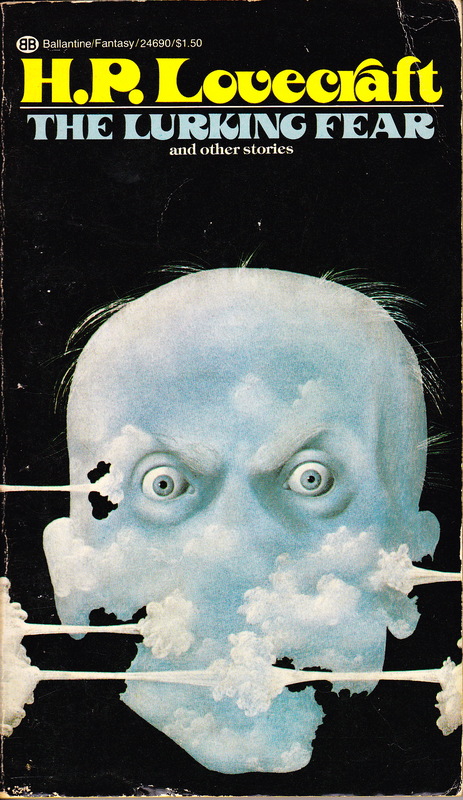 Lovecraft’s The Lurking Fear, one of several collections of HP stories brought out by Ballantine in the early 1970s. I had most of the stories already, somewhere scattered through different books, but with half my library in storage, I would never find them. And now I wanted to reread Lovecraft. This happens to me periodically, in times of stress usually. For me, Lovecraft is a kind of literary comfort food. This may seem strange to some, but not as strange as the stories themselves. So I ponied up 50 cents and bought it. All the things I love about Lovecraft are on display here, as well as the cringe-making parts. The title story is what you might call Early Transitional Lovecraft, still strongly influenced by Poe, with an infusion of pulp magazine male adventure stuff mixed in with the raving neurasthenia. But what I like best are the pieces of pure Lovecraft that float to the surface, not yet integrated into a personal style, but unique to the man and completely insane. This is what I read Lovecraft for. I know, right? We’ve all been there. People who can’t read Lovecraft often fault him for purple prose. But “purple prose” ain’t in it; this is over-the-top bad writing taken to wonderful extremes, transmuting into poetry. Extreme overwriting as an analogue to extreme states of consciousness, that was HP’s project, coming out of Poe. My plan for the day: make a pot of tea and read more Lovecraft. Let’s see, elbow pads, knee pads, crowbar (for prying books loose from old ladies who won’t buy them but won’t put them back), backpack rated to 80 lbs., sports crème for strains and bruises, wrist brace (for lifting those 1000-page-plus reference books)—okay, I’m ready for the Friends of the SF Library book sale. I’ve been thinking a lot about libraries lately, probably because my book addiction is out of control in spite of a thorough shelf-culling both before and after we moved. So it would be better, much better, to have guest books that could be returned to some other bookshelf than the ones in my apartment. Free libraries are pure socialism, no doubt an invention of the devil to the bugfuck-crazy teabags who don’t want to be helped at any cost, lest they should be asked to pay a nickel to help someone else. But I have always loved libraries. I was delighted to find out that Vinnie’s Head had been purchased by libraries in Singapore and Tasmania. And jazzed to find it on the shelf at the wonderful public library in downtown LA. I spent hours in libraries, from the time I could read until I could afford to buy my own books (something that happened fairly late in life). And now in the difficult condition of partial and uncertain employment, I’m spending that time in them once again. My novel Tiny Little Troubles came out in trade paperback (that’s the large-format softcover) this week. Look for it at your local bookstore.